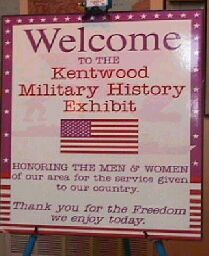 The Military Exhibit includes approximately 500 pictures of veterans from the Kentwood area; maps of the World showing where local veterans served in World War II. Red pins show where local veterans participated in battle; blue pins designate other military locations. Souvenirs, artifacts and medals are on loan. 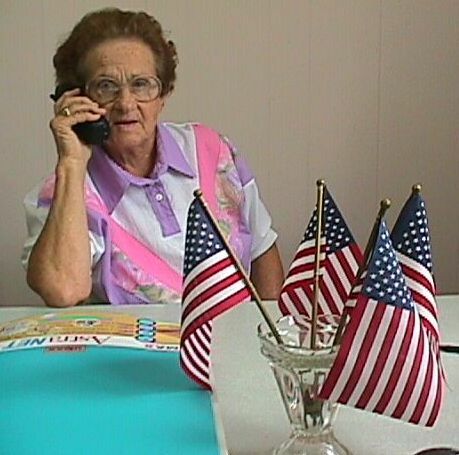 Also excerpts of Prisoners of War on video.